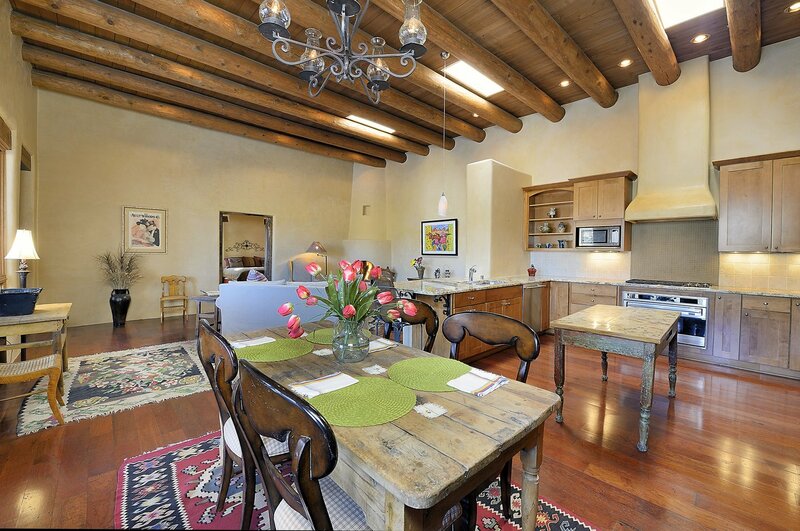 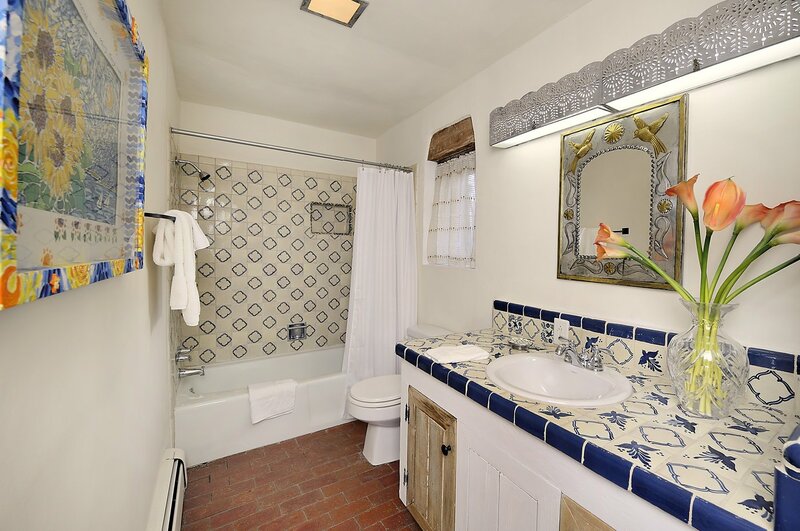 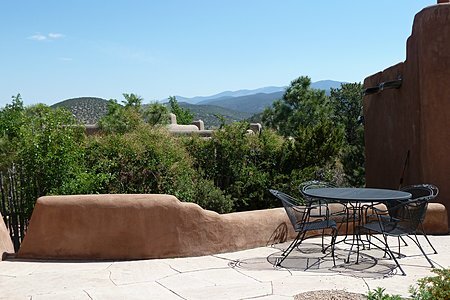 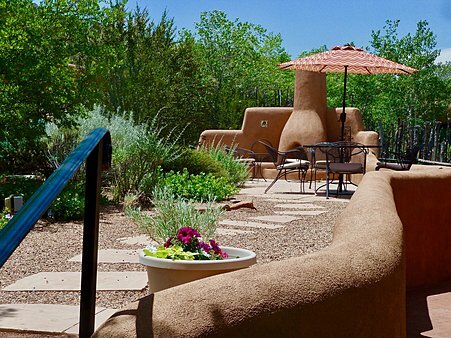 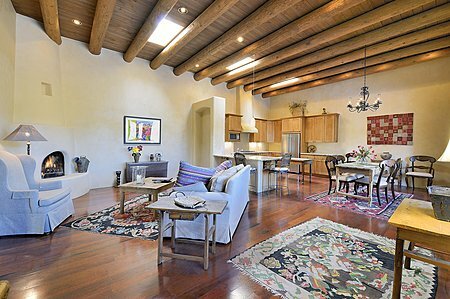 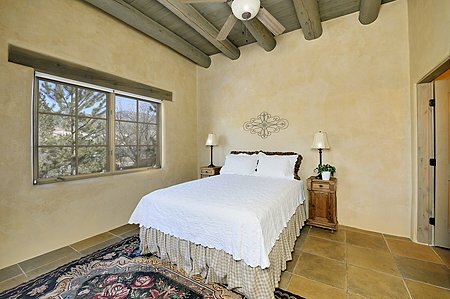 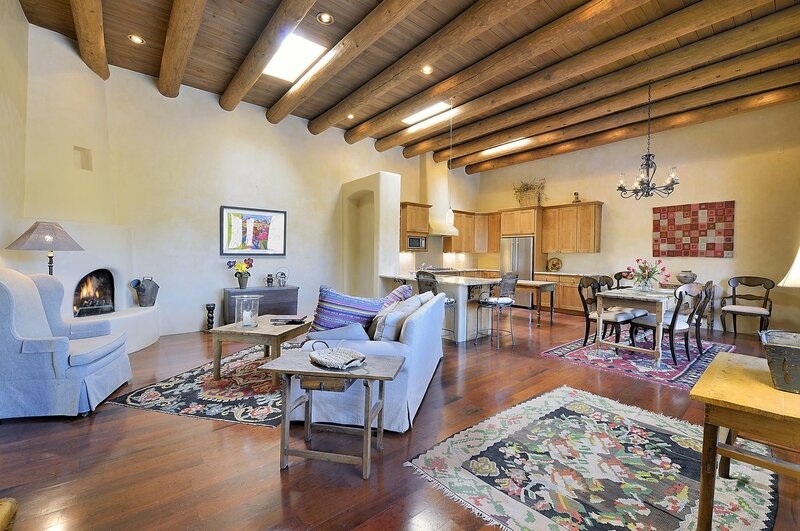 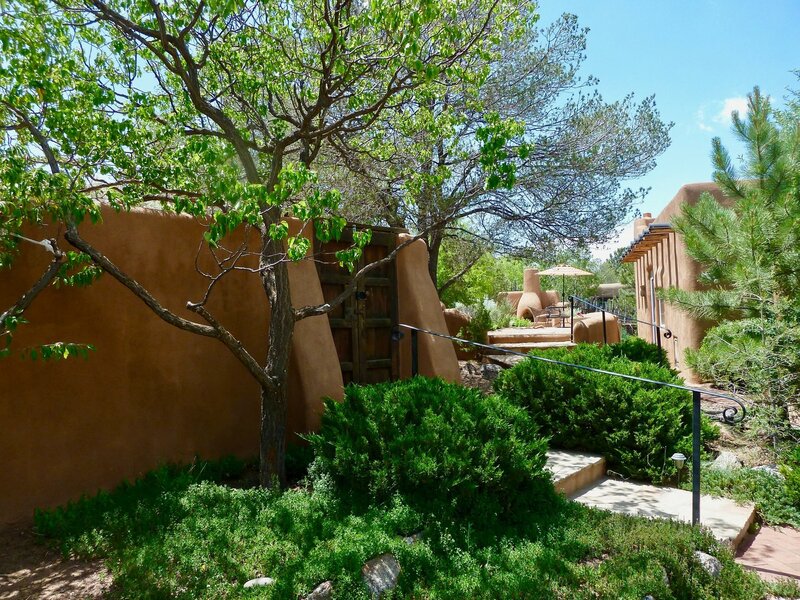 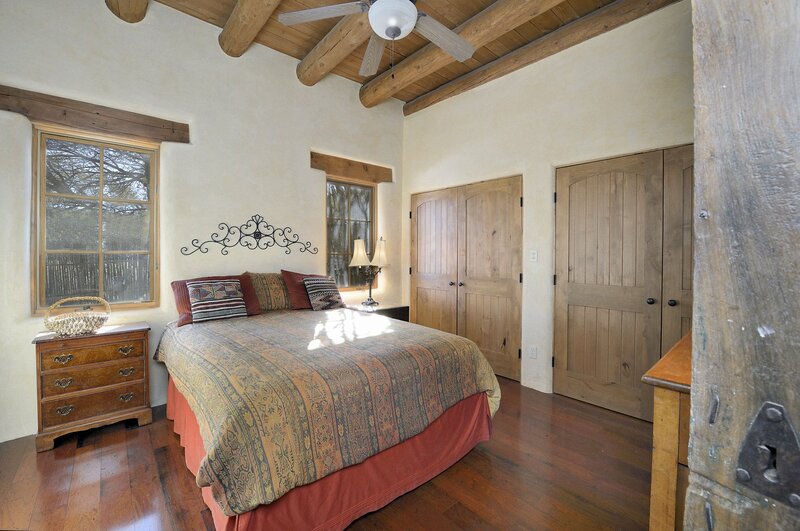 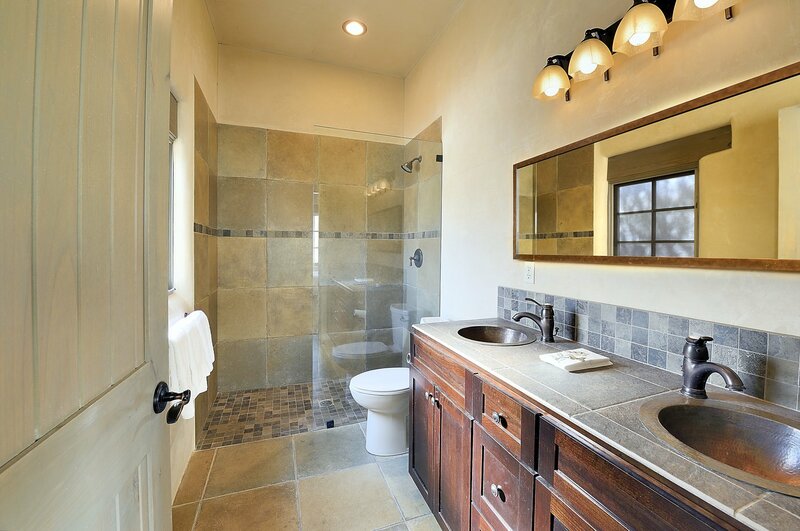 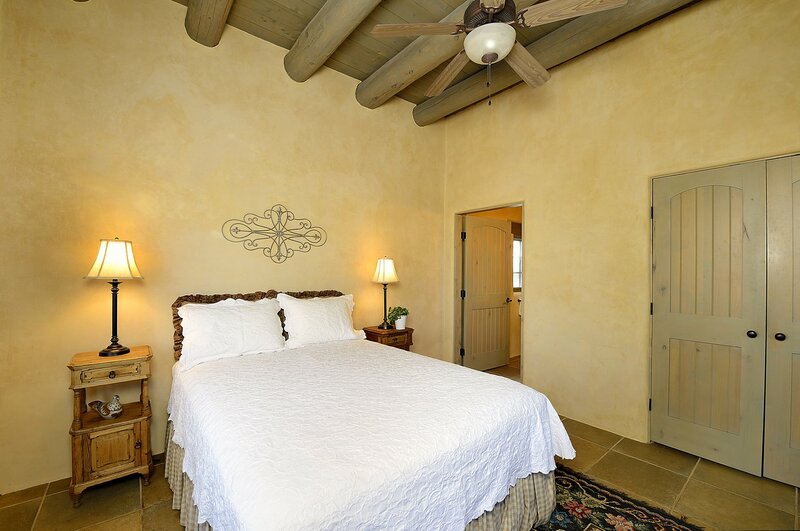 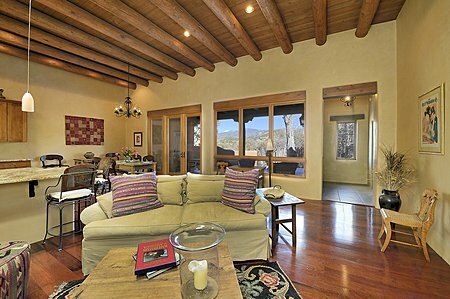 Elegant and Charming East Side adobe house and guest house with Sangre Views ! 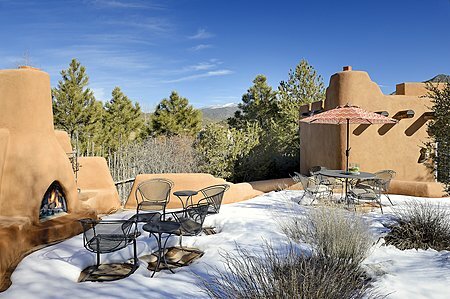 This sunny and bright 3 bed 3 bath adobe main house features a downstairs master bedroom...is completely walled and gated with numerous courtyards and privacy...nice separation between guest bedrooms...Attached 2 car garage...Refrigerated A/C...High ceilings....Vigas and coved ceilings...Numerous fireplaces...and a wonderful sun room/ dining area! 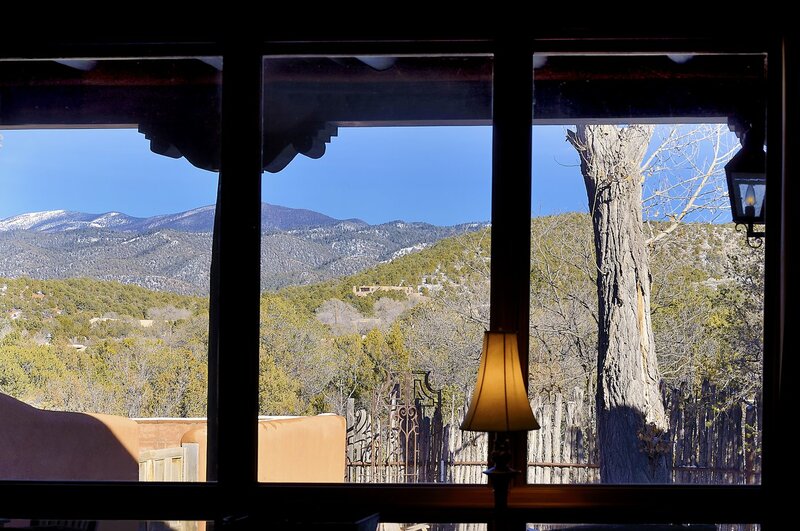 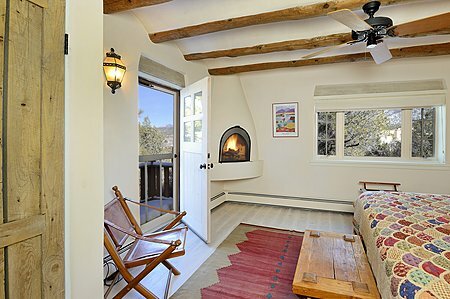 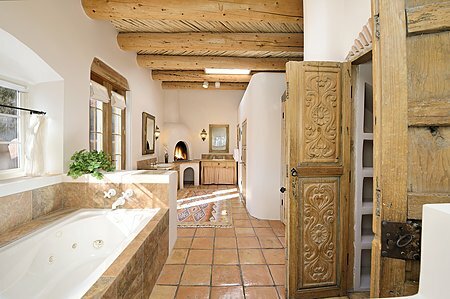 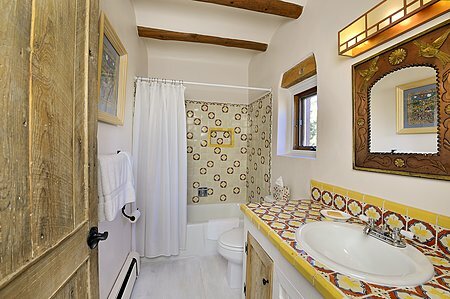 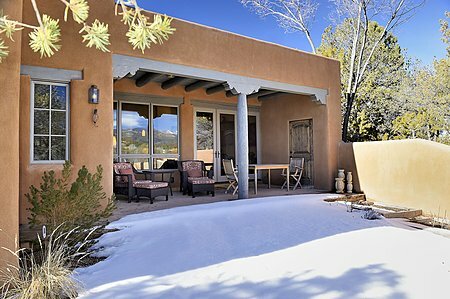 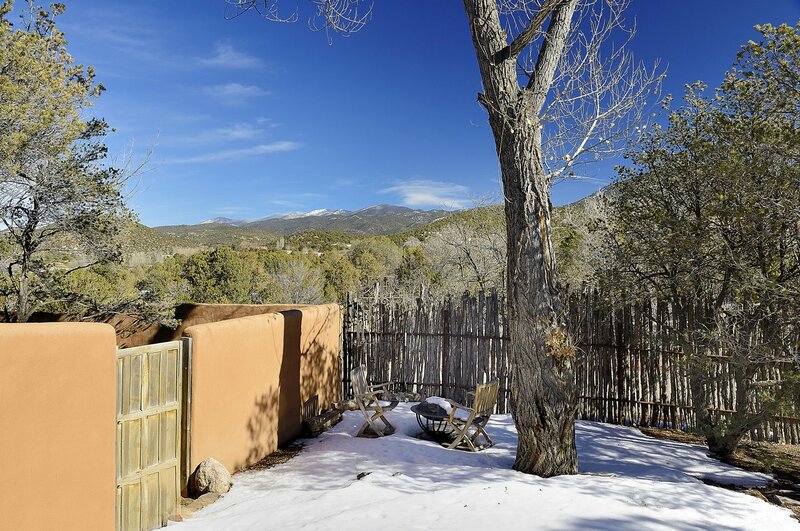 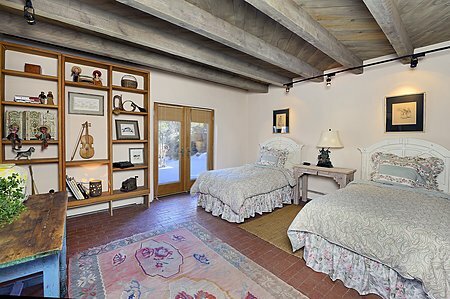 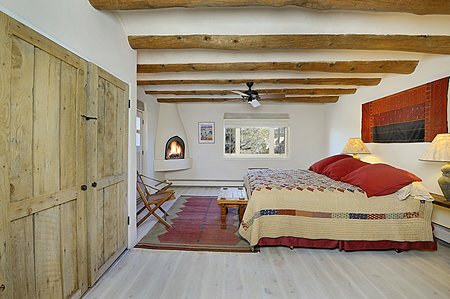 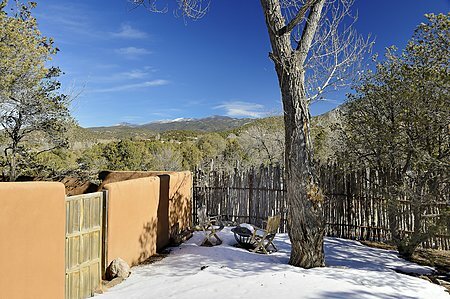 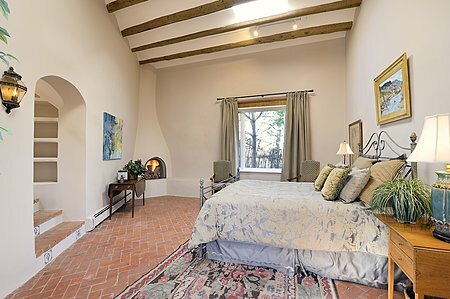 The 2 bed 2 bath adobe/rastra guest house is of newer construction (2009) and features a gourmet kitchen...high ceilings...incredible Sangre views....wood floors...radiant floor heat...large gated off street parking area for 3 or more cars...and unlimited rental potential !! 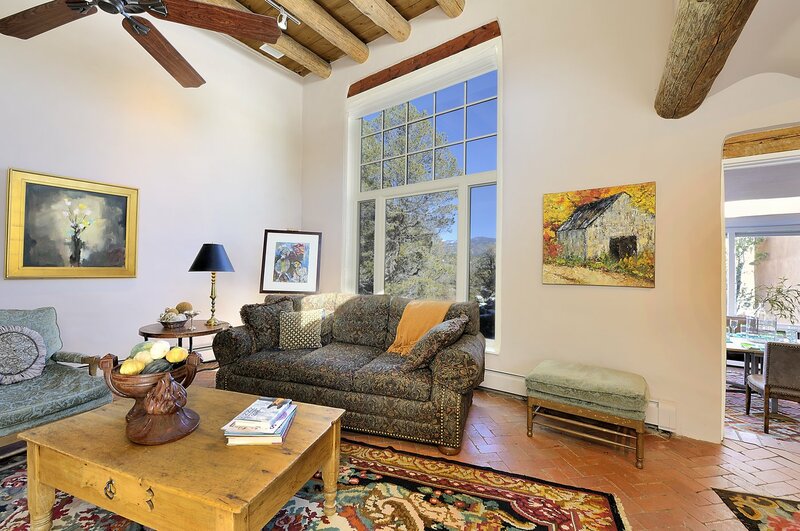 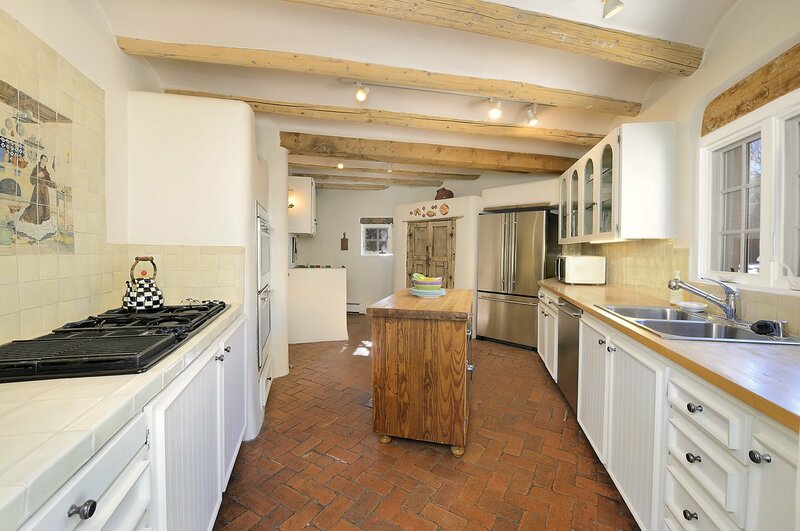 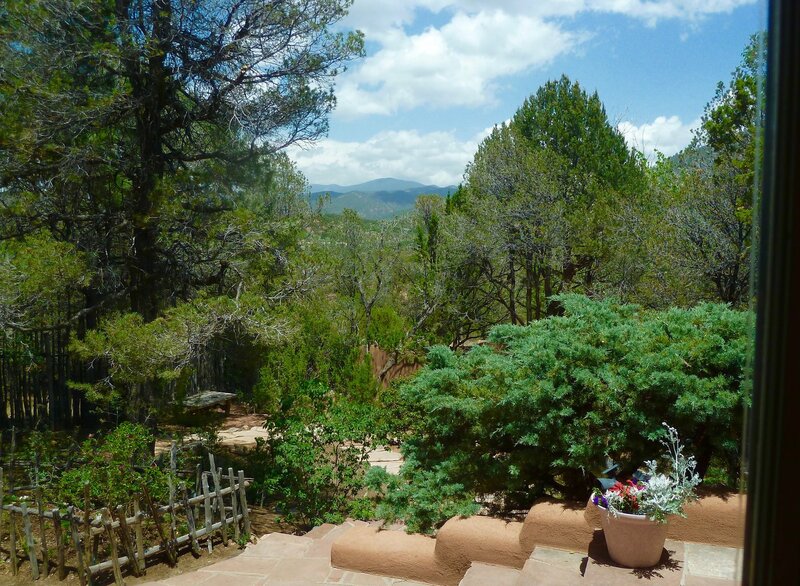 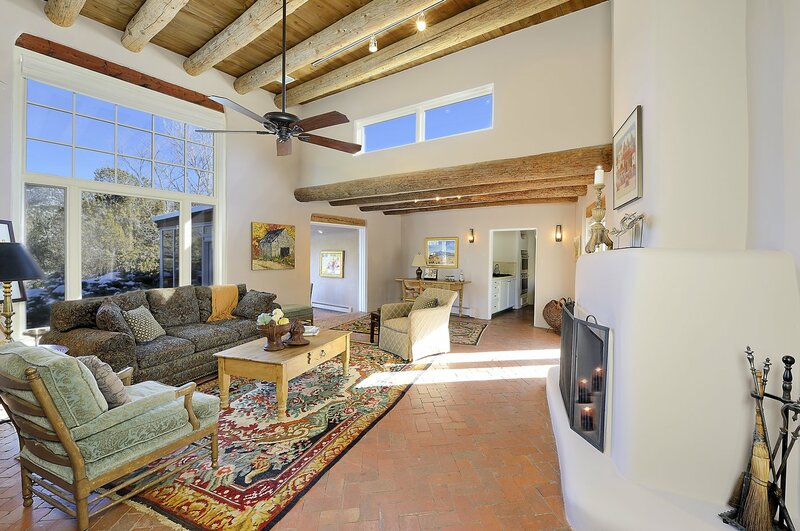 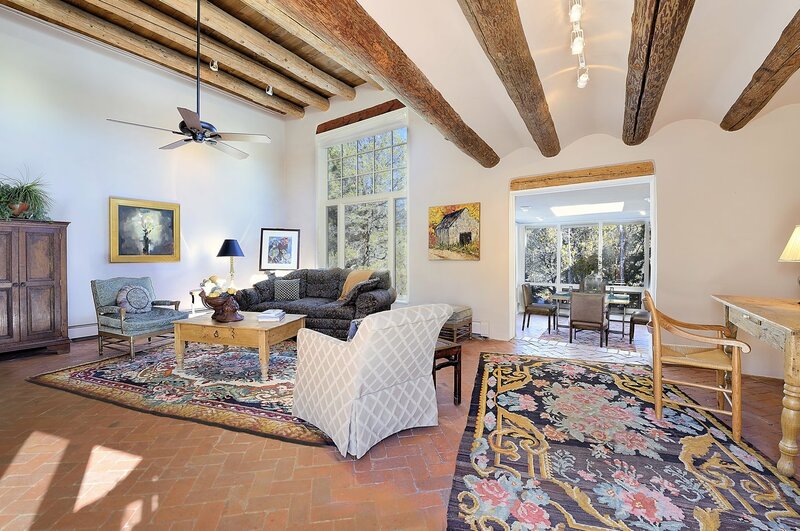 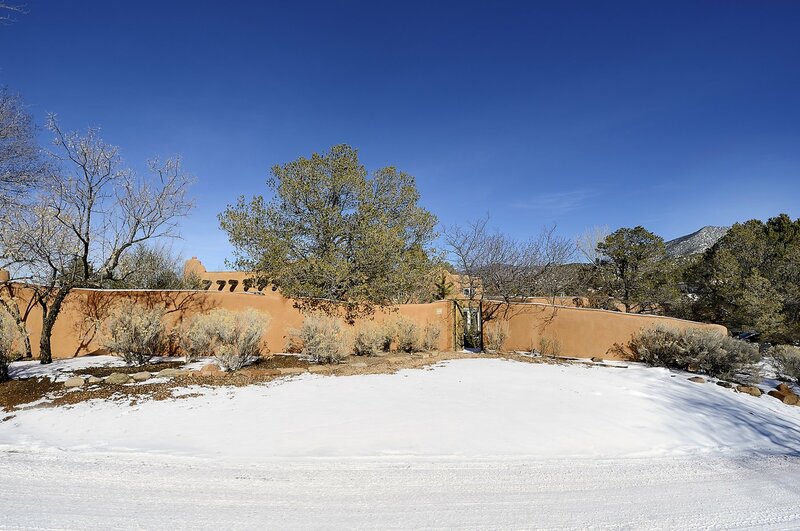 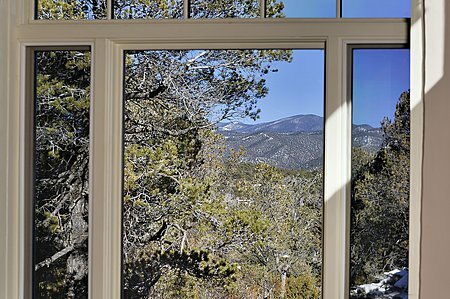 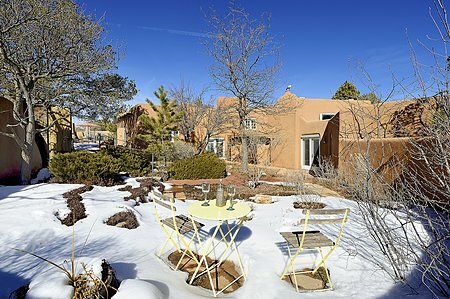 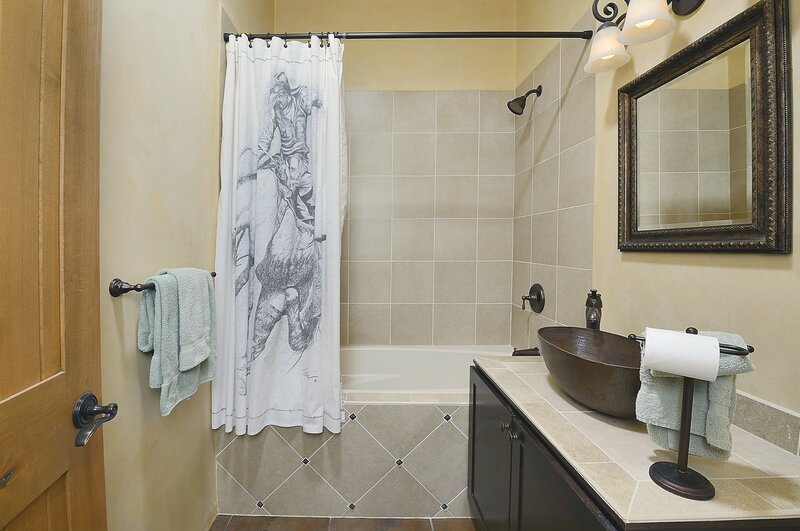 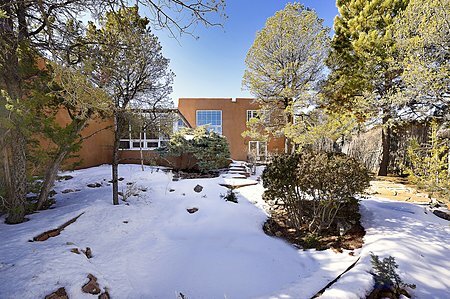 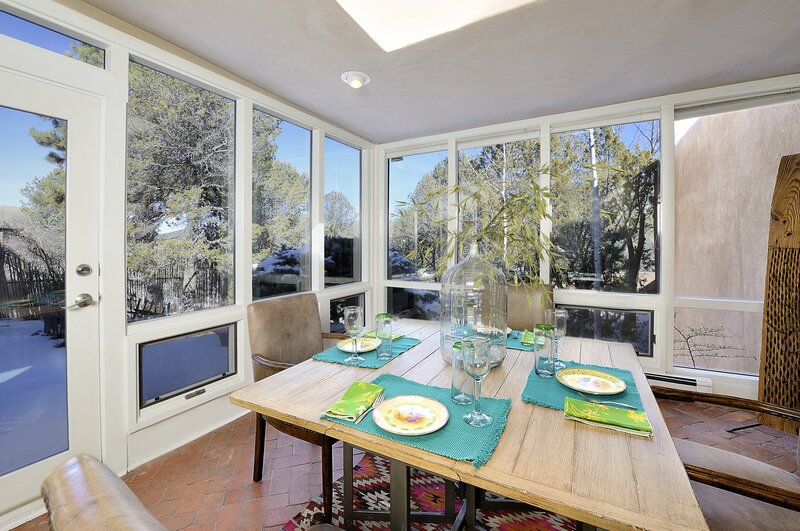 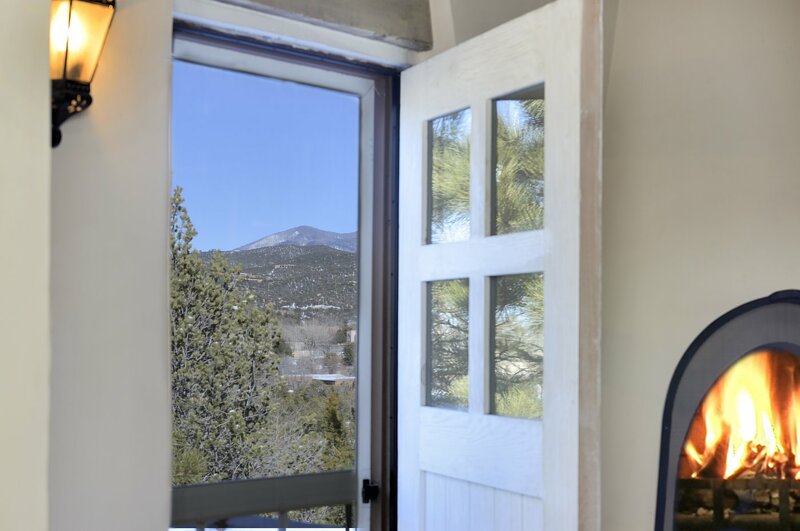 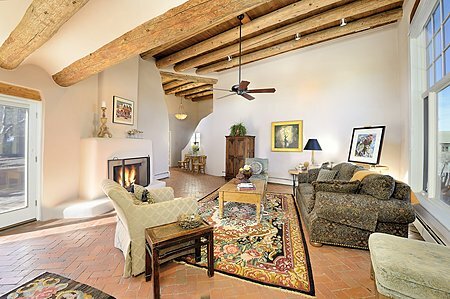 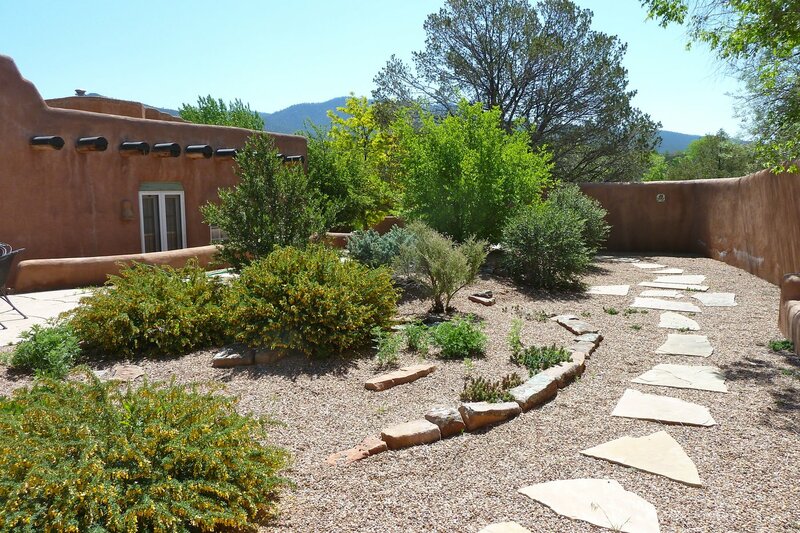 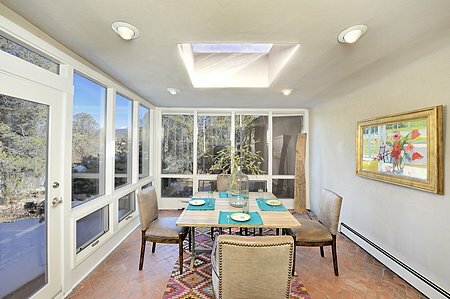 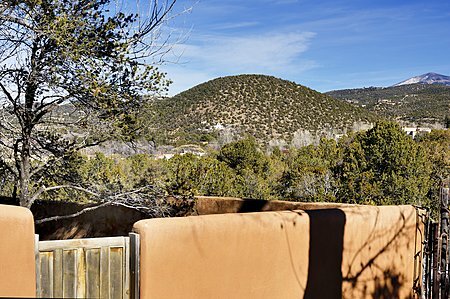 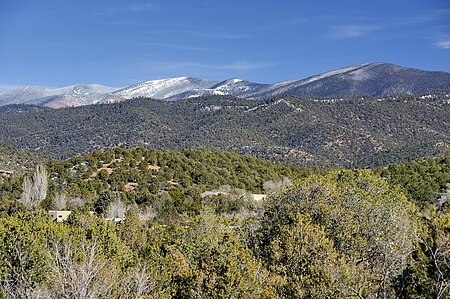 This is a lovely estate property located on a large 1/2 acre lot (appx) incredibly close to Canyon Rd and all things Santa Fe.